Summary The SYTRAL, the public transport company of Lyon, installed a 149 kWp PV-plant on the top of a car park. 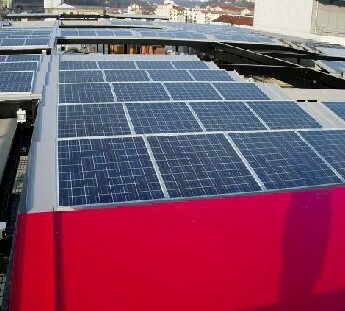 This PV-plant is fully integrated as the PV-modules are used as a roof of the last car park floor. This PV system was not part of the car park project, it was added in a later stage of the project, when the state heritage architect (ABF) decided that it was necessary to hide cars parked on the top of the building.